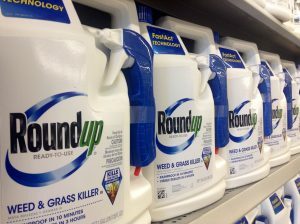 Evidence shows that glyphosate bonds with heavy metals like arsenic and cadmium, forming stable compounds in water that do not break down until reaching the kidneys. CKD is a disease that develops relatively slowly, impairing the kidney’s ability to filter excess waste and fluid from the blood. Outcomes are generally poor with CKD, ultimately resulting in the need for dialysis, kidney transplant, or death. The results were published in a major scientific report in the International Journal of Environmental Research and Public Health. This entry was posted on Wednesday, February 6th, 2019 at 1:43 am	and is filed under Bayer, Glyphosate, Kidney failure, Monsanto, Montrose, Uncategorized. You can follow any responses to this entry through the RSS 2.0 feed. You can skip to the end and leave a response. Pinging is currently not allowed.